I think I'm beginning to get the picture. I have downloaded the manual, thanks richardcbf. The tail light wiring runs through the left or the right side of the bike? I am trying to avoid taking off all the tail section and thinking that I may get away with taking off only one of the two rear fairings. Sorry, I don't know - maybe somebody else does and will answer. Fitting the Givi topbox lights you only have to connect the Givi wires into the rear light cluster wires. Light side of the multi plug. you do not have to splice the Givi wires into the bikes loom. The wires you need to use are within the yellow box , the box to the left with 3P is the three pin light to loom multiplug. the best way to do this is remove the left side panel and top rear cowl. You may want to consider the attached (marked up extract) originally from page 1-34 of the MK2 (CBF1000F) Workshop Manual. One more with the same problem. To acess the yellow box with 3p marked in the picture above, i need to remove the left side fairing? 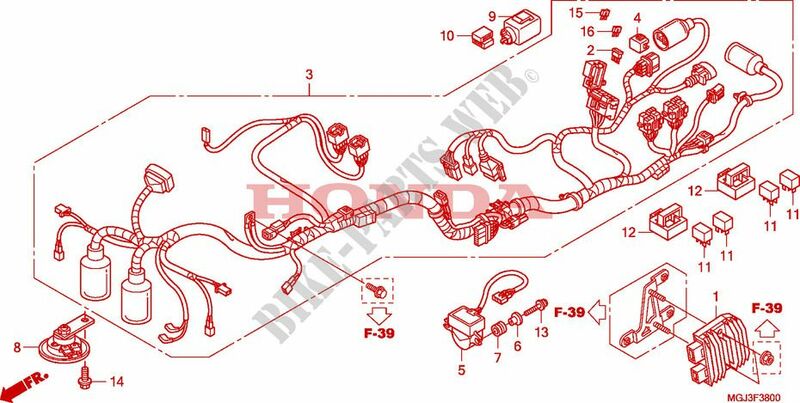 And the three wires...one for the ground, and two more for positive...in wich do i conect the positive givi wire?